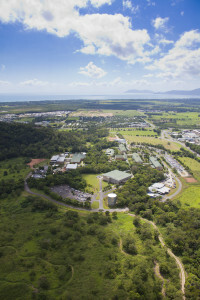 Despite being one of the centers of Australian tourism, with its proximity to the Great Barrier Reef and the World Heritage listed Daintree Rainforest area, the vicinity around the Cairns campus at James Cook University, in Queensland, Australia, has one of the highest unemployment percentages in the country for young people seeking permanent work. Which begs the question: How does a Liberal Arts program called Arts Edge help this situation? In a virtual e-mail exchange with the Arts Edge subject manager for 2014 on the Cairns campus, Chrystopher J. Spicer​, I learned that this Bachelor of Arts program, also referred to by its code BA3000, invites students to reflect on their futures as Liberal Arts graduates by integrating and applying their knowledge and skills to a series of challenges that are directly connected to future workplace opportunities and/or areas of research. In order to graduate, students in the College of Arts, Science and Education, explains Spicer, have to complete a ‘capstone’ subject for each year of the BA. Each year students are invited to synthesize and integrate their learning and examine the place of the Liberal Arts in contemporary national and global contexts with particular reference and emphasis on the tropical region. And they do this through a semester-long challenge involving the researching and writing of White Papers to be presented at a final Arts Edge Symposium. Graduating seniors take active roles in the organization of this Symposium, which features a keynote guest speaker from a local business/corporate/political area, and students present White Papers that they have developed over the semester. The team-based activities that lead to the White Papers include a series of serious challenges to which students have to find solutions, not just in terms of the actual tasks but also in terms of working together successfully as coordinated teams in order to achieve those goals and to eventually host a viable and smoothly managed symposium. In short, the Arts Edge program is a stellar example of how to teach students to reflect on their Liberal Arts skills as employable, transferable, useful skills which they can apply to many different areas. In this case, students learn to work together as a cohort to achieve a major tangible, visible goal – the Arts Edge Symposium. They get to look back and comment, as they do, “We did that!” In terms of team work skills, the students are also able to reflect on their strengths while creating resumés, using ePortfolio software, based on their employable skills and linking them to their real world job applications. In the Cairns city region where the campus is situated, clarifies Spicer, some 20% of youth aged between 15 and 24 are unemployed. As such, this grounding and reflective, lateral and deep thinking experience developed by the leaders of the Arts Edge program has led students to work as anthropologists, archaeologists, educators, police force members, social workers, and law personnel. One student, Spicer proudly shared, competed against 200 to win a training position with a major natural gas company on the other side of the country. Chrystopher Spicer currently researches, writes and teaches the Liberal Arts on the Cairns campus of James Cook University in Queensland, Australia, situated on the tropical north- east coast close to the Great Barrier Reef. He’s finally working on a PhD about cyclones as a theme in Queensland literature. He’s written extensively about Australian and American film and history, including an acclaimed centenary biography of the actor Clark Gable and his latest book, Great Australian World Firsts, about Australians who were the first in the world to achieve in their fields.